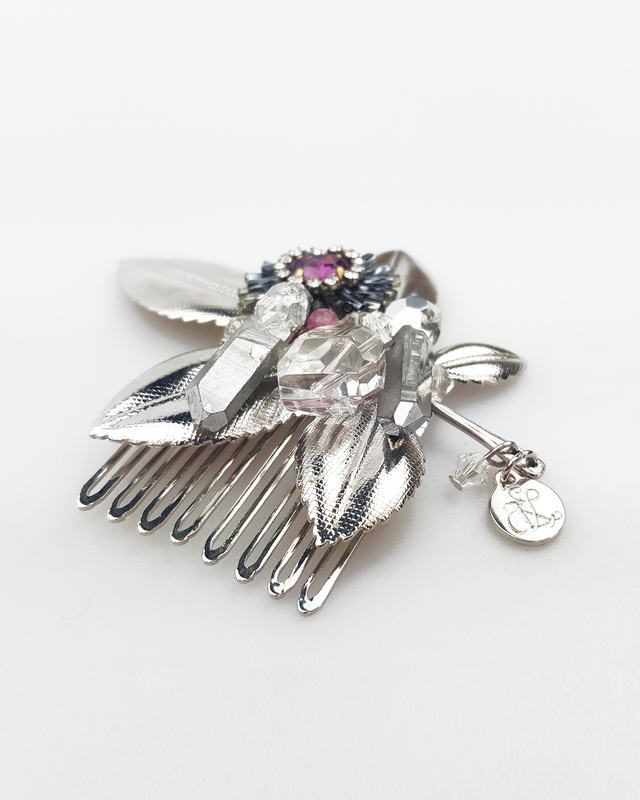 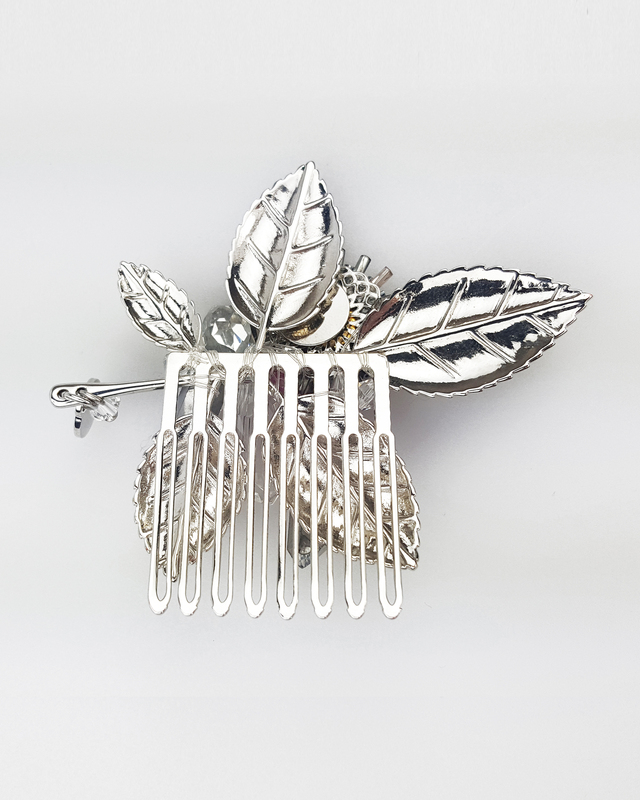 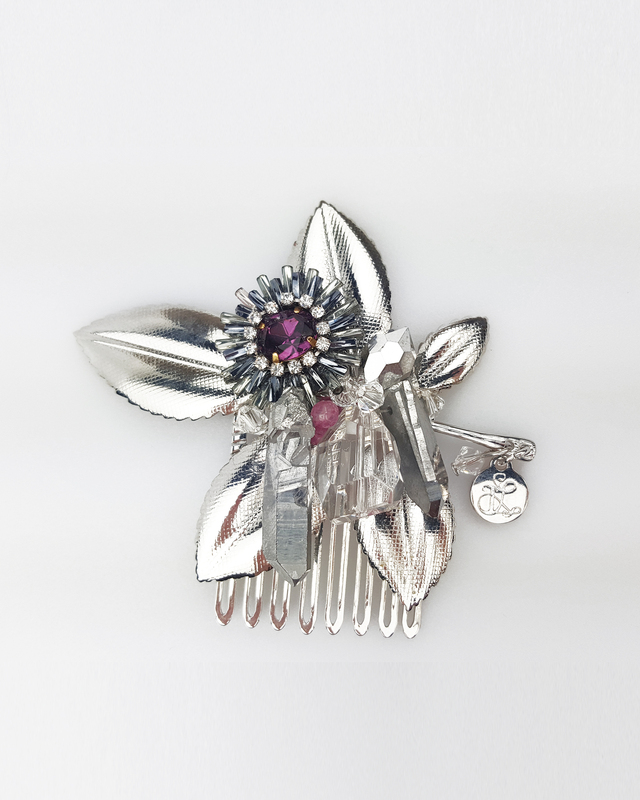 Handmade, one off, modern vintage embellished leaf comb with vintage earring component, hematite, swarovski crystals and glass beads on a brass base silver plated leaf. 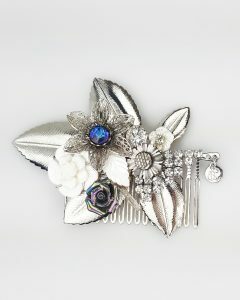 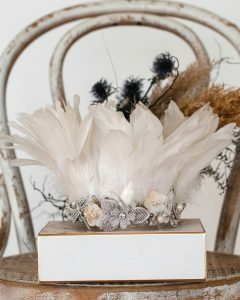 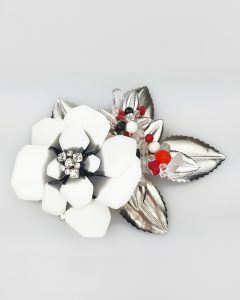 A beautiful way to add a touch of glamour to your hair for that special occasion! 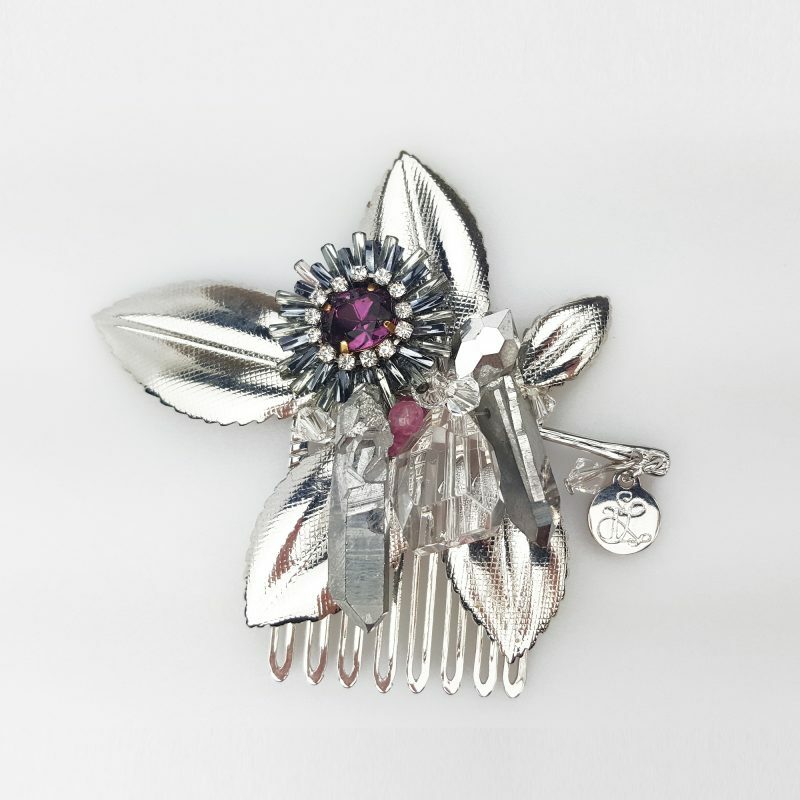 If you would like a version of this please contact me directly and I will work with you on creating your own version based on the vintage components I am able to source.